In 2006, Dr. Schuller stepped aside in favor of his son. However, he continued to have a relationship with Crystal Cathedral which was reflected in a Transition Agreement. Under that agreement, Dr. Schuller was designated as the founding pastor and continued as the chairman of the Crystal Cathedral’s board of directors. Dr. Schuller was also expected to serve as a “roving ambassador” for The Hour of Power, with a $300,000 discretionary fund to devote to ministry and mission work. Finally, Dr. Schuller granted the Crystal Cathedral a royalty-free license for the use of the materials that he created or that featured him, including The Hour of Power. In exchange, Crystal Cathedral was to pay Dr. Schuller’s salary and benefits, and to provide an office and staff for him as long as he wanted them. In 2010, Crystal Cathedral Ministries filed for protection under Chapter 11 of the Bankruptcy Code. 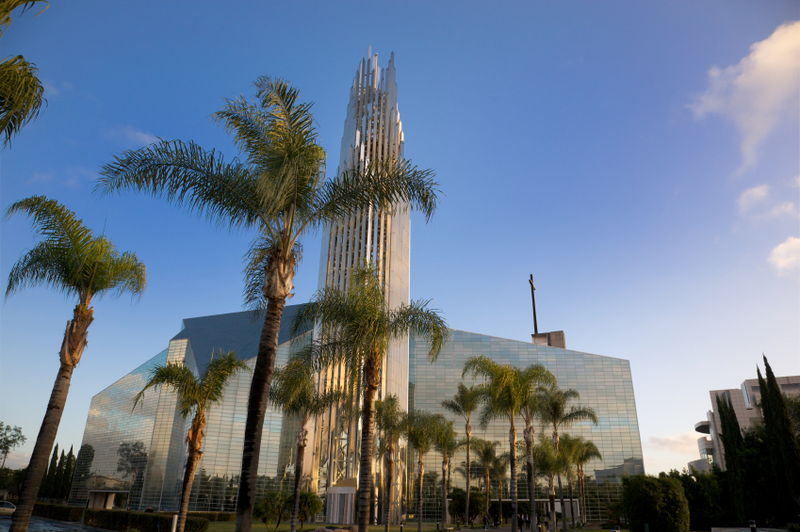 In the Chapter 11 proceedings, Crystal Cathedral, the bankruptcy debtor, confirmed a plan of reorganization and the court appointed a plan administrator. Meanwhile, Dr. Schuller, his wife, daughter, and son-in-law filed claims against the bankruptcy estate aggregating more than $6 million (collectively, the “Schuller Claims”). Many of the Schuller Claims were based on alleged breaches of contract, copyright infringement and a variety of arrearages from pre-petitioned and post-petition services. For purposes of this particular post, we’ll focus on the Schuller Claim based upon the debtor’s rejection of the Transition Agreement. The Plan Administrator objected to all of the Schuller Claims, and the bankruptcy court held a hearing over seven days at which Dr. Schuller and his family presented their case in chief. At the conclusion of the Schullers’ case in chief, the plan administrator moved for judgment. The bankruptcy court made a number of important findings based on the evidence presented. First, the court found that Dr. Schuller and his family members were insiders within the meaning of section 101(31). The bankruptcy court then considered whether the Transition Agreement was an employment contract, and as such, was subject to the limitations of section 502(b)(7). Under that provision of the Bankruptcy Code, claims of employees for breaches of an employment agreement are capped at an amount equal to one year of compensation provided under the agreement. Applying the standard for determining whether a hired party is an employee, as articulated by the Supreme Court in Community for Creative Non-Violence v. Reid, the bankruptcy court considered whether the debtor had the right to control: (1) the skill required; (2) the source of the instrumentalities and tools; (3) the location of the work; (4) the duration of the relationship between the parties; (5) whether the hiring party has the right to assign additional projects to the hired party; (6) the extent of the hired party’s discretion over when and how long to work; (7) whether the hiring party is in business; (8) the provision of employee benefits; and(9) the tax treatment of the hired party. The court noted that Dr. Schuller worked at the debtor’s premises and used support employees and tools provided by the debtor in discharging his duties. In addition, over a period of approximately 50 years, Dr. Schuller performed services only for the debtor or its predecessor. Therefore, the bankruptcy court concluded that Dr. Schuller was employed by the debtor and applied the statutory cap to Dr. Schuller’s claim. As a result, the claim was allowed, but reduced from $5 million to $615,000. Dr. Schuller appealed to the Ninth Circuit from the bankruptcy court’s determination that the Transition Agreement was an employment agreement as opposed to a retirement arrangement. This distinction turned out to be a very important one: if the Transition Agreement was a retirement arrangement, it would not be subject to the limitation of section 502(b)(7), and thus there would have been no cap on Dr. Schuller’s claim. In a split decision, a Ninth Circuit majority ruled that the bankruptcy court did not err in determining that Dr. Schuller was an employee of the debtor. However, Judge Reinhardt, writing in dissent, took a much more holistic view of the Transition Agreement. Noting that the question was a close one, Judge Reinhardt found that Dr. Schuller’s continuing relationship with the debtor was more akin to emeritus status with the church he founded. For Judge Reinhardt, the principal factor weighing against characterizing the Transition Agreement as an employment relationship was that the agreement did not indicate that the debtor could compel Dr. Schuller to perform any task in exchange for his compensation. Dr. Schuller has now asked the Supreme Court to accept the case and reverse the Ninth Circuit’s decision. Regardless of what the Supreme Court eventually decides, this case teaches several lessons. Plainly, dealings with a founder or other charismatic leader can be difficult and will be subjected to enhanced scrutiny because the employee is in a position to extract favorable terms. However, the closeness of the relationship does not preclude fair dealings between the founder and the organization. It can be expedient to label agreements of this nature in vague terms in order to assure key constituents that the founder will remain connected to the organization and that no radical change of course is anticipated. However, this vagueness may open the door to future disagreements over the true intent of the parties. To avoid this type of squabble, a corporation should be clear with respect to its intent in dealing with its employees. The record in the Crystal Cathedral Ministries case apparently was not sufficient to establish the parties’ true intent. But it is possible to infer that Crystal Cathedral’s efforts to assure the congregation that Dr. Schuller was not being “pushed aside” into an unwanted retirement may have backfired, leaving him without millions in retirement compensation after a lifetime of service. In addition, the parties unfortunately used the Transition Agreement as a single vehicle to address a number of other issues, including licensing copyrighted materials to the debtor. As discussed in our next blog post, the resolution of Dr. Schuller’s copyright infringement claim also required a finding with respect to his status as an employee. The unfortunate ambiguity over Dr. Schuller’s ongoing relationship with the debtor may well have been clouded by the commingling of these issues into a single document. Parties facing a similar transaction may find it in their interest to have separate documents to address each issue to avoid this confusion.